Feature: Our white goat powder offers a smoother application and longer life as inherent brush character benefits. Avail yourself of these benefits as well as the desired soft application of translucent and other bronzing powders. 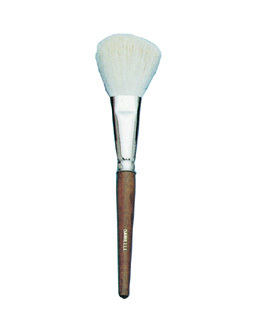 Usage: Our white goat facial powder is ideal for translucent powders and as a large blusher. Now is the time to treat yourself as you deserve. Quality Danielle products are waiting to go home with you. Grow your cosmetic portfolio and order Danielle products today.